NEVER be surprised at what hack-jobs can be done by the PO (Previous Owner). If you notice some of those clip-on crimp terminals (Fig 1), be afraid. Be very afraid. Although these splices are usually electrically sound in an automotive environment, the person who installed them may not be. If you see wire nuts (Fig 2), which should NEVER be used in an automotive environment, take a few moments to weep, ‘cuz the PO has really complicated your life. Always check fuses first. Usually it is obvious when a fuse is blown, but there is a remote possibility it will ‘look’ good, but be bad. If you don’t have a volt meter, get one (even a $5 Harbor Freight unit is better than nothing) and learn to use it. Visually inspect the fuse box itself. Remove each fuse (one at a time) and inspect the contact points between the fuses and the retaining clips are clean. 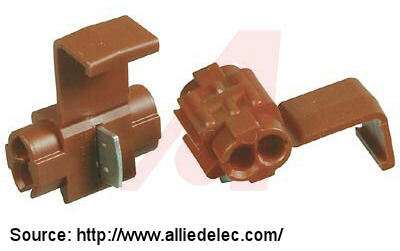 Make sure there is sufficient pressure of the clips to make solid contact with the fuse. 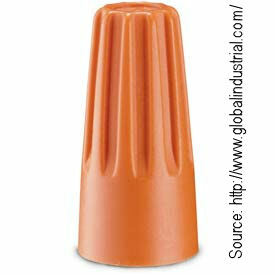 Be on the lookout for unusual wads of electrical tape (or worse, masking tape or duct tape). 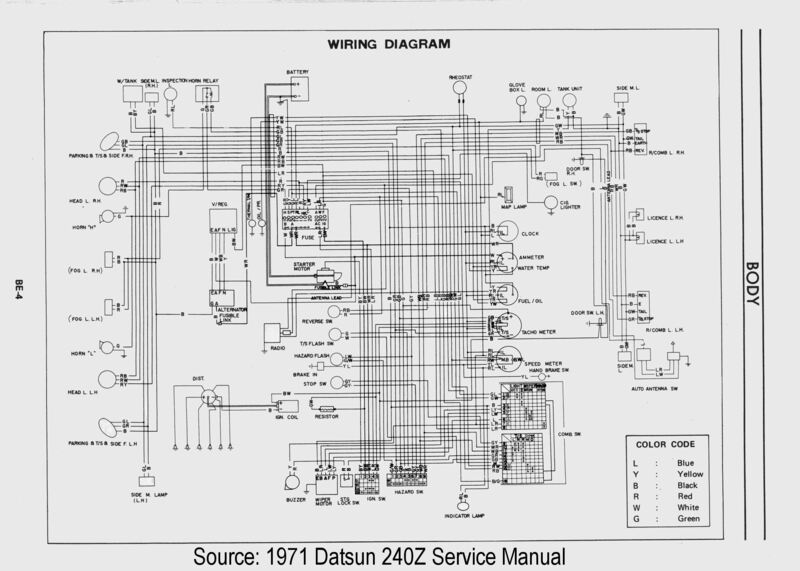 Trace the wiring on a wiring diagram (1971 240Z diagram below). As suggested in the previous post, look for other components on the same circuit – are they working? If yes, suspect other wiring problem, most likely some creative fix by a PO. Z wiring leaves something to be desired (like running full headlight current thru the delicate switch on the steering column), everything is centralized thru the dash, as you can see by the fist-full of connectors under the right side of the dash. Regarding the dash lights – I would suspect a worn out/dirty/fried rheostat also. Easy to check with the voltage meter. Voltage in, but no/small voltage out = bad rheostat. It is (very remotely) possible that all dash bulbs are bad. I wouldn’t look there first, but sometimes weird sh!t happens. There is also the potential for corroded connectors (and there’s a lot-o-connectors). I wouldn’t start here, but let’s keep this in mind. However, since the wiper motor connector is in the engine compartment, close to potential water leakage, I would check that first (easy, convenient). Inspect the bulbs, including the ‘underside’ contacts. Dielectric Grease – yes or no? There are two schools of thought on this. Yes. And No. The answer is somewhere in between. The most common misconception is that since a ‘dialectric’ is an insulator (and it is), that you would/should never use this on a connector which needs to conduct (the opposite of insulate). At first pass. this makes logical sense, why would you use an insulating material on a device whose sole purpose is to conduct? Let’s dig a bit deeper. First, let’s consider that all wiring in your car is wrapped in an insulator. This does not impede conduction of the wire. The actual purpose of the insulation is to prevent unwanted conduction to other circuits or to the chassis (ground). In other words, the purpose is to keep the electrons from going astray while being routed around inside your car (or house or computer or airplane). Next, it is important to know how a connector works – for the most part, the concept is that two components, usually one male and one female are pressed together. One of the parts is typically ‘spring loaded’ such that when the two parts are mated, there is a force that ‘scrapes’ (called ‘wiping action’) the two parts together, removing any dust or oxides (or dialectic grease) and allowing good, metal-to-metal contact. It is this metal-to-metal contact that makes the connector work. 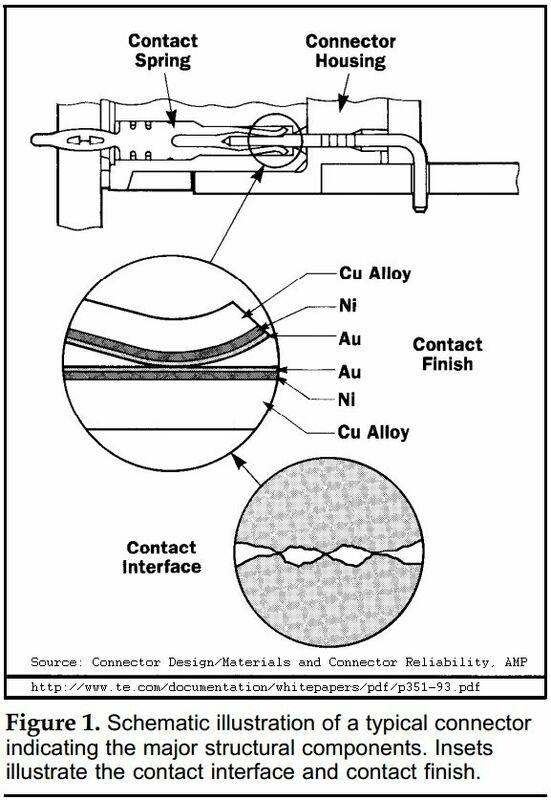 the other 95% of the connector surface is not involved in the conduction of current through the connector. If your connection is mechanically sound, due to the wiping action, there is no dialectric grease in between the actively touching component parts. If you are counting on some conductive grease or other ‘additive’ to make or improve your electrical connection, then you are in big, big trouble. The action which occurs when contacts are mated with a sliding action. Wiping has the effect of removing small amounts of contamination from the contact surfaces, thus establishing better conductivity. Finally, oxides. When corrosive elements like polluted air, salt air, water, salt water touch metal, it creates an oxide layer (gold is an exception). These oxides are not good conductors. And, over time, these oxides can ‘creep’ into that all-important metal-to-metal contact, slowly increasing resistance, and eventually causing failure (open circuit or excess heat). The dialectric grease helps keep these corrosive elements away from the metal components of the connector. And, like the insulation on a wire, all the parts of the mated connectors that are not in metal-to-metal contact can be covered with an insulator (dialectric) and it will NOT affect conductivity. If a connector is not expected to be exposed to the harsh elements, then the grease is of limited or no value, electrically speaking.